Deepak Chaswal is a poet from the soil of India. 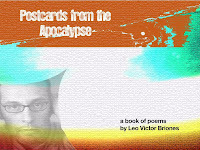 His poetry exhibits his perception of the universe from the perspective of an insider. He is an editor for The Muse Poetry Journal and his poems have been published in reputed international poetry journals Sam Smith The Journal, Pacific Review, Pamona Valley Review, Forge, Enchanting Verses, The Tower, Earthborne Poetry Magazine, Kritya- A Journal of Poetry, Indian Ruminations, Icycle Review, Electronic Monsoon Magazine, Efiction Notice, Frog Croon, Message in a Bottle Poetry Magazine, to name a few. 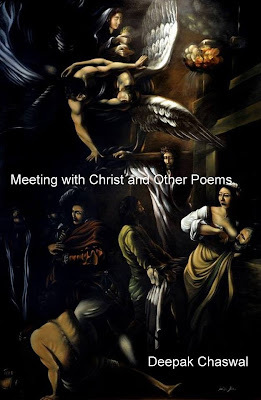 Chaswal writes poetry of reflection and resolution in his 2013 poetry anthology Meeting with Christ and Other Poems. The stunning cover is the work of Italian artist Luigi Alba. Professor Hugh Fox, Emeritus of Michigan State University, archaeologist, editor, writer, and iconic poet of international fame testifies to Chaswal’s poetry, “One of the deepest, widest, most universal poetry books ever written about individual spirituality in a world-wide context. Chaswal identifies with blacks, whites, Indians in India, Americans....you name it, he identifies with it. Universalism at its most universal. You read his poetry and you go through a kind of spiritual renewal. 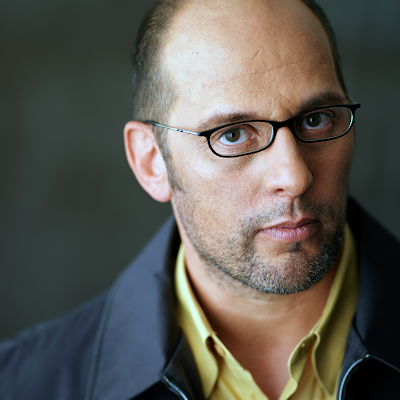 One of, perhaps, THE most spiritually renewing poets on the contemporary scene." 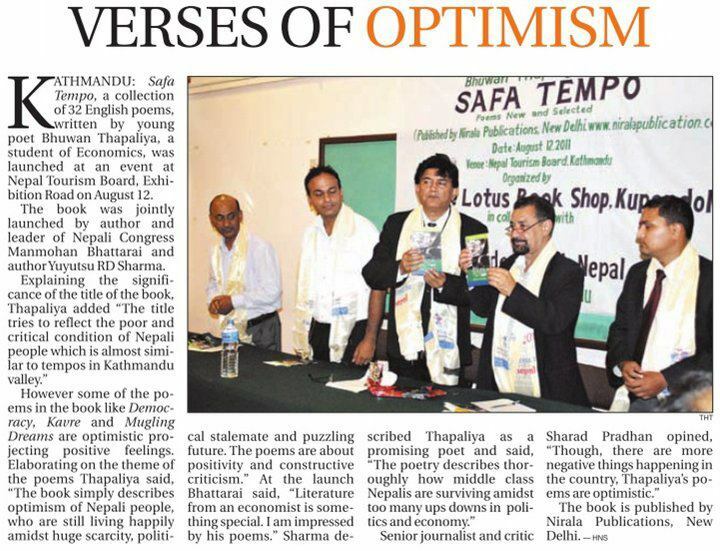 Chaswal’s newest poem will appear in a human rights poetry anthology published in October 2013 by University of London. When I was approximately 12 years old I started writing poetry. I like the poetry of John Keats, William Wordsworth, Lord Byron, P. B. Shelley, John Milton, Ezra Pound, T.S. Eliot, W.H. Auden, Walt Whitman, Robert Frost, Emily Dickinson, Ted Hughes, Philip Larkin and the list keeps on increasing. This is a very interesting question. Actually, for me poetry is an outlet of emotions and pent up feelings which is the amalgam of inside and outside strife which makes our lives as it is. Is it important to you if your poems get published? Without poetry I cannot live for a single moment. It is the most essential part of my life. I think it is important to write poetry whether it gets published or not. Do you think poetry is important on a global scale? Yes, of course. Poetry plays an important role in the global scale of things. It is the only solace in the strife torn global scenario. It works as a balm for our distorted psyche and soul. Do you write a specific genre of poetry, or do you delve into all genres? While writing poetry I do not think about the genre. I think we should not confine poetry in boundaries of genre. Poetry is not like a river with certain specific banks which limit its expansion. It is basically like an ocean which is limitless in its dimensions. So if we try to confine poetry within the limits of specific genres or categorize it in certain forms it may lose its aesthetic appeal and will look like a marketing product. What is your favorite type of poem? My favorite type of poem is the one which flows naturally through the deep recesses of my heart and touches the other hearts without any constraints. I am currently busy in compiling my poems for a new book which will be released soon. Poetry is nectar of life for me. 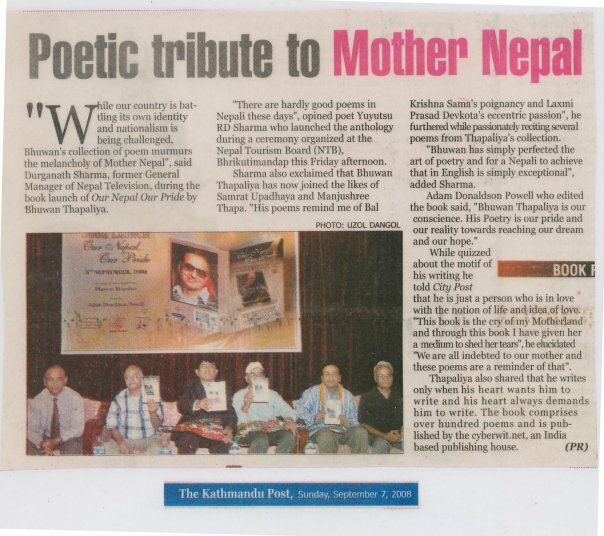 From Kathmandu, Nepal, Bhuwan Thapaliya is a world acclaimed poet. He summons thoughts and words from deep caverns, gently carving them into verses of emotion and reflection. 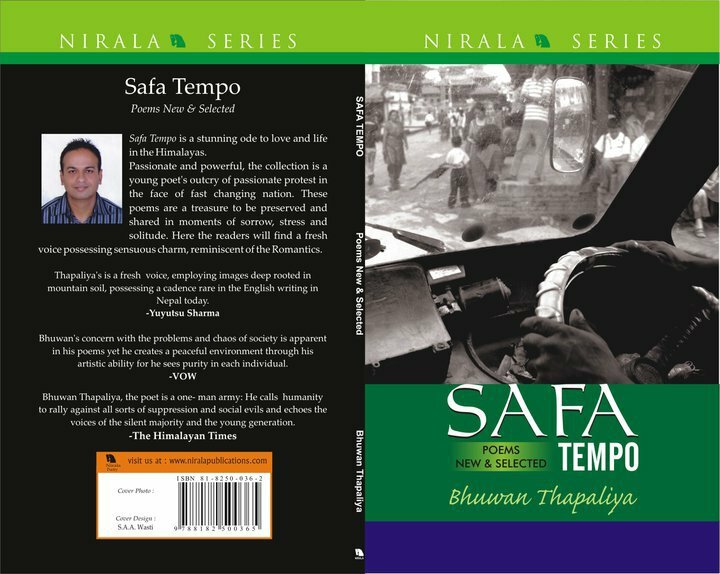 He is the author of four poetry collections, including the recently released Safa Tempo: Poems New and Selected; and Our Nepal, Our Pride - Narrative verses of love, peace, and human understanding. Poetry by Bhuwan has been included in The New Pleiades Anthology of Poetry, and Tonight: An Anthology of World Love Poetry, as well as in literary journals such as Urhalpool, MahMag, Kritya, FOLLY, The Vallance Review, Nuvein Magazine, Foundling Review, Poetry Life and Times, Poets Against the War, Voices in Wartime, Taj Mahal Review, Strong Verse, poetseers.org, theasiamag.com, asianamericanpoetry.com, and more. Bhuwan has read his poetry and attended seminars in venues around the world, including South Korea, the United States, Thailand, Cambodia, and Nepal. Recently, I ordered several signed copies of Bhuwan’s poetry collection Verses from the Himalayas; one for myself and several for a poetry group. The books are in the mail as of this writing. If you’d like to receive a signed copy of Bhuwan’s poetry, send him a message. and the wide open jaws of the vultures. and no knowledge of what comes next. eyes in the sky, Grandma?” he sighed. The first poem I wrote was Darkness above light in the year 2002. I was 24-25 years old then. It was a metaphysical poem. It was about the deteriorating condition of the humanity. It was my passionate protest in the face of fast changing world. I am still protesting, though studies show that we, as a race, have become less violent over the centuries though citizens of developed countries tend to hold a belief to the contrary due to increased media coverage and exposure of violence. Needless to say, we're doing something right, but what is it? Cultural or emotional evolution? Increased life span, leading to an increased value of life? However, on contemplation I think humanity will prevail one way or the other and you can’t have animosity with the humanity forever. I adore poems of John Donne, John Milton, Robert Frost, Mahmud Darwish, Pablo Neruda, Laxmi Prasad Devkota and Yuyutsu RD Sharma. Mules by Yuyutsu RD Sharma; If You Forget Me by Pablo Neruda; Crazy by Laxmi Prasad Devkota; and To a Young Poet by Mahmud Darwish, are some of my favorite poems. We don’t “decide” to be a poet; we just “become” one. And isn't writing poetry a continuous course of experimenting and evolving, of absolving our heart of certain issues about which we feel very sturdily? I write poetry not just for the sake of writing but rather to understand the basic questions that all human beings ask in their struggle for the existence: What is humanity? What is peace? Why so much corruption, poverty and suffering in many parts of the world? Where is democracy? What is love? What is the ultimate destination of the human life? These questions soon alter themselves into my poems. My poems are an examination of the world around me, and my poems evoke characters, events, and landscape with rich use of visual details. Sometimes I write for myself but most of the time I write for others and anyone who reads my work may notice that there is an urge toward social progress, toward peace and solidarity, toward global love and understanding. I am an advocate for the globalization of love and thorough my poems I am advocating love, peace and universal solidarity. I had a dream in which a voice told me, ‘What we have is less important. What we owe to each other matters most.’ I didn't argue with the voice – and I was emancipated. Today after all these years I am realizing that as a poet we owe a lot to society and the society owes us a lot too, and our correlation can never be redeemed. Publication isn’t the most important thing but as a poet, I would love to see my poems published because poets aren’t poets for nothing and poems aren’t just poems. After all, no poet would make a river flow without the river being there in his mind for nothing. Do you think poetry is important in the global scale of things? God gave us a mind but not thought. Life is our opportunity to cultivate thoughts. Yet in the field of thought, mind is only the ploughman; the seed is the heart. And what sprouts straight from the heart is poetry. Yes, poetry is very important in the contemporary world because I think poetry is the medium of the emotional cooperation from one heart to another, from one soul to another, from one truth to another, from one dream to another, from one race to another, from one religion to another, from one generation to another, from one language to another and from one nation to another. It is a wise poet who understands the delicate balance between realism and dreams and it is this that makes a poem sing. Considering so, I delve into all genre of poetry. Anybody can write a poem but only a few poets can make it speak, and it is in the shelter of this hope I live. I don’t belong to the brood of poets who write regularly while sitting in a drawing room in a specific form. I write in different places and locations. I believe in reaching out for something larger rather than waiting for it to come to me, and considering so I get off my comfy couch, get out of my room, and go out into the real world. I love my freedom and I adore free verse because I don’t want to be caged by the constraints of meters and pentameters and all. When I am writing a poem I forget the meter, forget the metaphors, forget the rhymes, and forget style and all. I think poetry is not about meter and rhymes only, it is more about people and their life, and it is more about their tears and smiles. 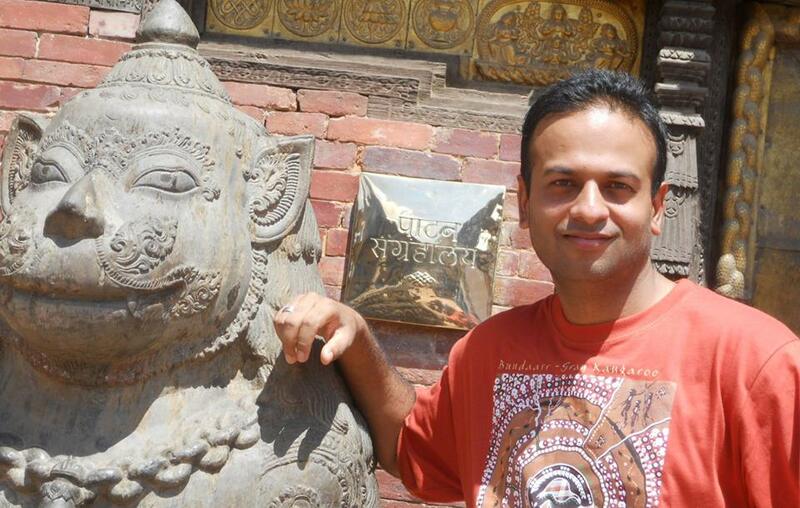 I am currently working on my debut Novel, Nepal Dreams, based on the positive power of thought and its practical implementation in the contemporary world. The book will hit the market in December, 2013. In the book, I aim to strengthen some of the economic responsibilities of the individual as an important service to mankind in a nation trodden by massive unemployment and psychological poverty. 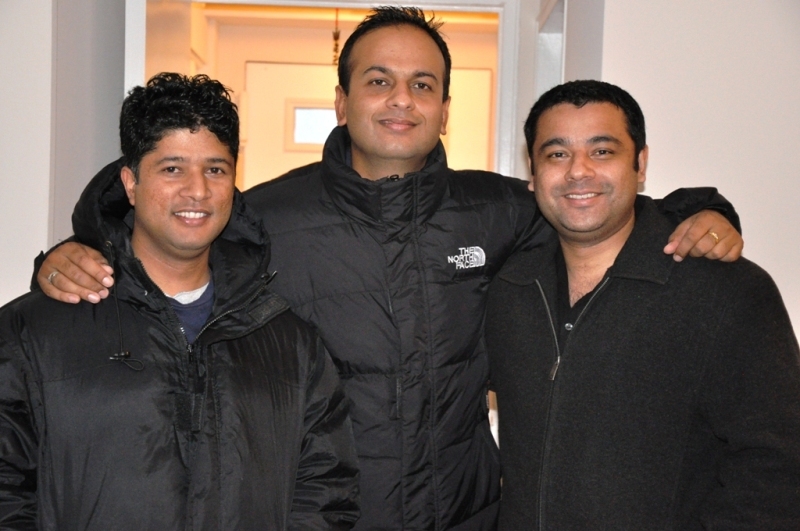 his new release Tranquility of Life to his friends Rajesh (left) and Ashim (right). I am also working on my new poetry collection, Tranquility of Life. This book is scheduled to be released somewhere around November, 2013. The kindle edition will be released in the month of October. 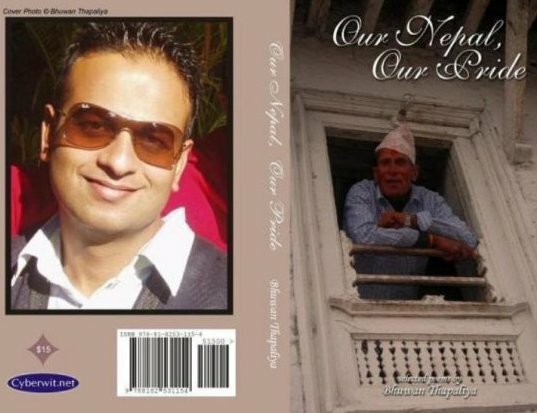 In this book I am seeing the world through the eyes of my best friends Ashim Pokharel and Rajesh Sharma. This book is intended as recognition of the gifts of friendship and the vitality friends impart to in our life. It’s a tribute book to our friendship and this amazing thing called life. Poetry isn't a ladder to my success. To me, it’s a holy bridge. And that sums up everything. 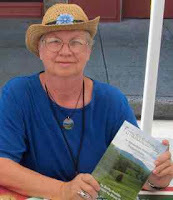 retty, witty and wise; frolicking in the green hills of Penhook, Virginia, USA, Becky Mushko is a retired Roanoke City school teacher and 2006-07 writer-in-residence for Roanoke County Schools, currently serving as literary coordinator for the Mountain Spirits Festival in Rocky Mount and serves on the board of trustees for the Franklin County Library. 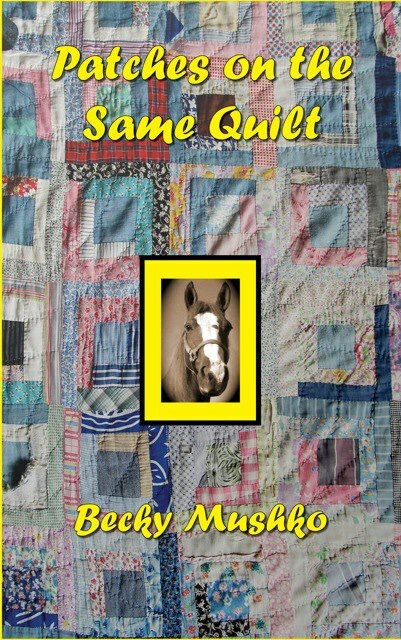 Becky resides in the quiet Virginia countryside with her husband, an old horse, four dogs, and a dozen cats. 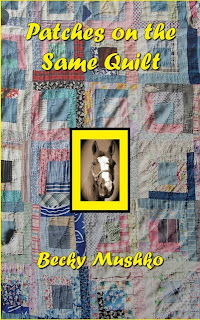 Her published works include Patches on the Same Quilt, Peevish Advice, More Peevish Advice, The Girl Who Raced Mules & Other Stories, Where There’s A Will, Ferradiddledumday, Stuck), to name a few. A three-time winner of the Sherwood Anderson Short Story Contest and five-time winner of the Lonesome Pine Short Story Contest, she is best known for her wins in the infamous Bulwer-Lytton Bad Fiction Contest, for her stories —Worst Western (1998) and Vile Pun (2008). Did you always know you wanted to be a writer or was there something else you wanted to do as a career? 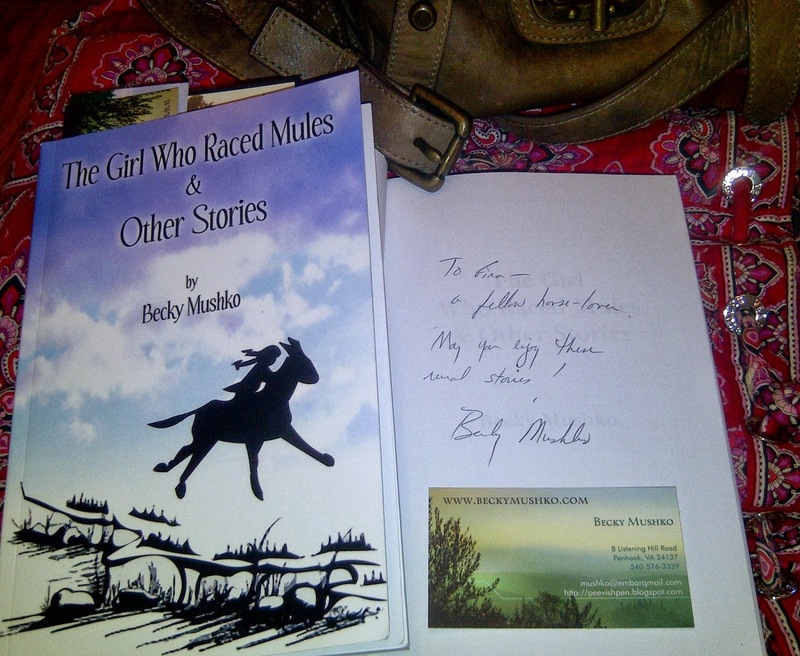 I never thought about becoming a writer, although I wrote some stories when I was a kid (see Becky’s blog for stories). I think my earliest career choice was cowgirl. Then I wanted to work in a store downtown. Finally I decided to become a teacher so I’d have a steady income and the summers off. I was always an avid reader, but I didn’t start writing until the mid-90s—unless you count some really bad poetry I wrote in college. I don’t really consider myself “A Writer.” Writing is mostly a hobby. One of C.W. Anderson’s Billy and Blaze books that I checked out of the Huff Lane Elementary School library. I remember it had wonderful pencil drawings of the pony. Lee Smith, closely followed by Sharyn McCrumb and Silas House. I like Appalachian writers.
. . . favorite poet? Robert Frost—and my favorite poem is The Road Not Taken. Second favorite is Stopping by Woods on a Snowy Evening. Ferradiddledumday began as an oral presentation about the culture of the Blue Ridge Parkway that several friends and I were doing in 1997-99. I wrote Ferradiddledumday to showcase the spinning and knitting skills of a member of our group. People kept asking if I had a book; I didn’t. After Ferradiddledumday went through several revisions, I submitted it to Cedar Creek Publishing and it was accepted. An early version is on the Ferrum College AppLit website:http://www2.ferrum.edu/applit/texts/ferradid.htm. The story has changed a lot since the AppLit posting. Recently, Ferradiddledumday was mentioned in an essay by Tina Hanlon in Appalachia in the Classroom, published in 2013 by Ohio University Press. What is it like living in the Blue Ridge Mountains? I don’t live in the mountain so much as I live surrounded by them. No matter where I look from my property, I see mountains. From my study window, I see the Peaks of Otter to the north. From my deck, I see Turkeycock Mountain to the south, where my husband and I own some acreage on the western slope. From my driveway, I see Smith Mountain, where the dam is that formed Smith Mountain Lake. The lake actually covered some land that was owned by my great-great-great-grandfather, John Smith. From my pasture, I see Jack’s Mountain, only a few miles away to the west. Jack’s Mountain, named for a bear that used to roam there many years ago, is being quarried. Some days I can hear the machines pounding as the mountain is ground to gravel. Further away to the west, on a clear day, I can see the mountains in Floyd County. These Blue Ridge Mountains form an edge to my world. They do indeed inspire me. I blog. I keep notes on my computer (a five-year-old iMac—I love Macs!) I used to keep journals until my handwriting got so bad I could hardly read it. I have parts of three novels in my computer, but I don’t know if I’ll ever finish them. I try to blog at least twice a week on my Peevish Pen Blog. I have two other blogs about frugal living, and another about my Nace ancestors, but I rarely update those. I’m an internationally ranked bad writer, having won divisions of the Bulwer-Lytton contest in 1996 and 2008. I lost 25 pounds after I stopped eating wheat. I’m a diabetic, but I have no faith in the American Diabetes Association because they give wrong information. I wrote most of Patches on the Same Quilt during the 22 months I had chronic Epstein Barre. I was too tired to do much else than tell myself stories. When I was a kid, I wished that someday I’d have a houseful of cats. If I’d known then that my wish would come true, I’d have been a little more thoughtful what I wished for. I’ve never been to Europe or even wanted to go. I figure my ancestors must have left for good reasons. Multiple award-winning world writer, scholar, and poet, Yasser Kashef is a shining star in the literary community. Yasser is a freethinker and creative genius. He enjoys chocolate, admires cats, is a decorated collegiate scholar, and a fan of classical poets. To quote Yasser ..Impossibility is the motto of lazy people. 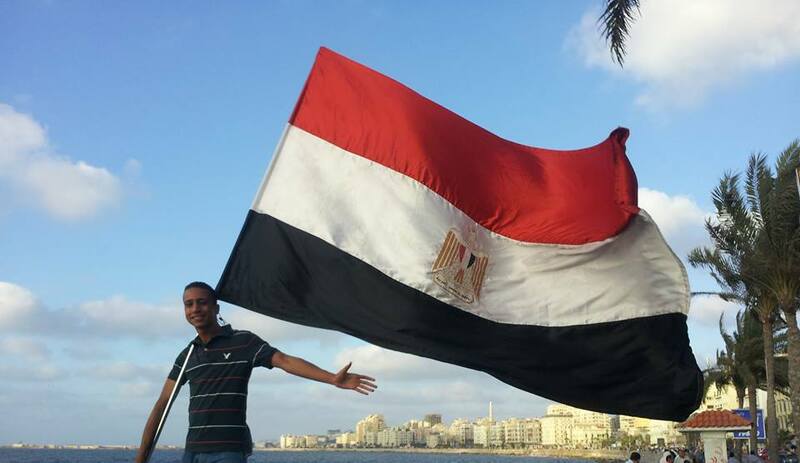 Yasser Kashef was born in 1989, in Alexandria, Egypt. 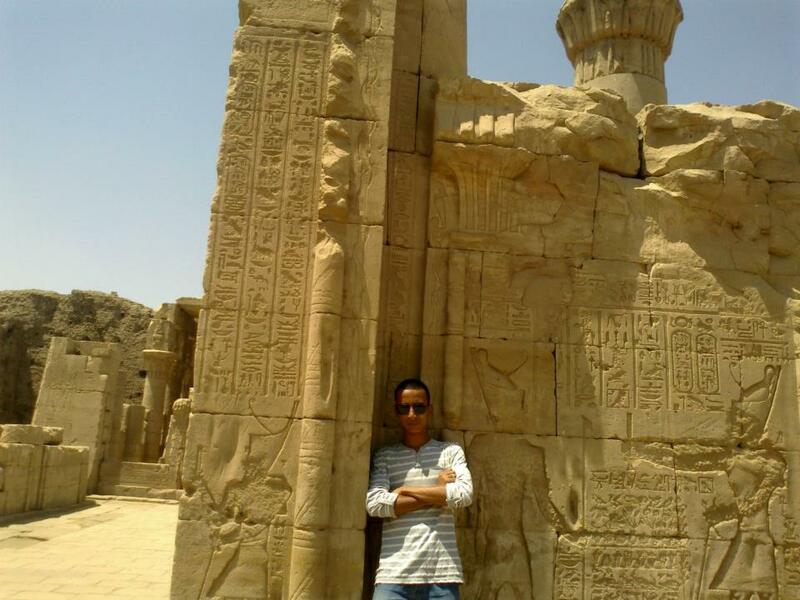 He is studying English linguistics and translation at Alexandria University. Being a son of an Alexandrian mother and an Asswani father grants him a flexible character that enables him to deal with various cultures and thoughts. He started to write Arabic poems at the age of eleven. In 2008, he wrote his first English poem Death Life and then followed it with more than 15 poems. He won the third place in Renaissance Group Poetry Competition for his poem Schizophrenia in 2010. Furthermore, his poem Africa’s Son bestowed him the first place in the same competition in 2011. He is interested in drawing, traveling, and photographing. Sugarcane is considered as his first short story. Shining with innocence silvery hue. And her imagination is a fruitful tree of berry. And her words turn your life to be fancy. As if she is an utopian angel on Earth. She is willful,like free wild unicorns. Meet her for a minute and your future will be bright. If you are interested in poetry, drawings, sport, cinema, horoscopes or music I will be the one you look for. Do not imitate me because my character is unmatched like fingerprint. Do not treat me according to others treatment, just treat me according to my treatment to you. Praying and fasting are duties, but piety and religiousness are something else that needs more efforts. A true friend should help you to see yourself honestly, but not to run away or give you the cold shoulder. The winner of the Third place in Painting With Words contest 2013 (A poetry competition held by Bibliotheca Alexandrina) for his poem "Winter". The winner of the First place in Short Story Contest 2012 ( a short story competition held by Bibliotheca Alexandrina) for his short story "Carma". The winner of the Third place in Painting with Words contest 2012 (A poetry competition held by Bibliotheca Alexandrina) for his poem "Living Memories I Relish". The winner of Sea of Words contest (An international competition for short story held by European Institute of the Mediterranean IEMED) for his short story "Sugarcane Juice". 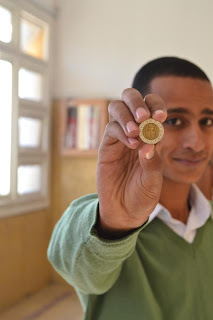 The winner of First place in Renaissance Poetry Competition 2011 (for his poem "Africa's Son") . The winner of Third place in Renaissance Poetry Competition 2010 (for his poem "Schizophrenia"). Tom expounds, "I am a horse lover and have been most of my life. I help to care for five horses that we stable at my sisters farm in Saint James, Minnesota. My sister, her husband, my mother, my daughter, my wife, and myself work with the horses when we can and enjoy them a lot. 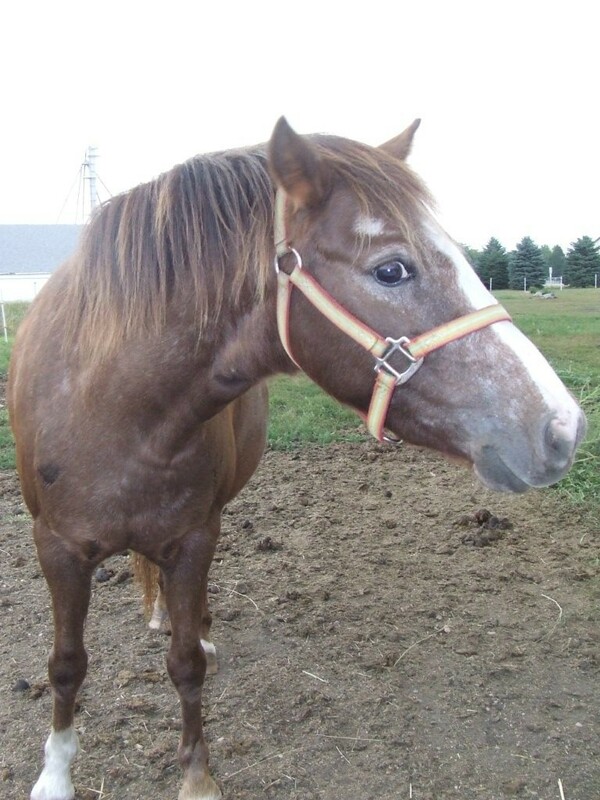 We have an assortment of different breeds and sizes of horses on the farm. My mother is the one that got all of us interested in horses, she had horses when she was younger, but when she got married and started having children she could no longer care for the horses and had to get rid of them. She and my dad purchased a horse about five or six years ago and stabled it at my sisters farm. It was a dream come true for her, but shortly after getting the horse my dad found out that he had cancer. We lost my dad do to a stroke while recovering from the surgery to remove his cancer. It was a sad time for all of us but I think the horses played a large part in my mother’s healing process. Now she mostly just cares for them and no longer rides. We have enjoyed our horses for many years and hope to enjoy them for many to come. My daughter has been hooked from the time she was able to get on them, she even won a trip to the Minnesota State Fair last year for a display that she had done for school on equine therapy; she won a first place ribbon." I would have to say that the first time I rode a horse was when I was quite young 4 or 5 years old, our landlord’s son had his own horse that he would bring over and he would give us rides. I don't remember for sure what the breed of the horse was but I do remember wishing I the ride would never end. I can’t say that I have a favorite breed because I really like all breeds, if I had to choose and money wasn’t an issue it would have to be the Friesian breed. This breed is native to the Netherlands, originally they were bred as draft horses, but because of their nimbleness, they were used in battle during the middle ages. The size of the horse alone is impressive but I just love the way the horse carry’s itself. The horses that we currently have are a mixed group, we have one Palomino Quarter Horse (Golden Cloud), one Welsh pony (Stormy), two miniature horses (Dusty and Trigger) - I’m not sure of their breed; and my brother in-law’s horse is a Quarter Horse (Buttermilk). I can say the disposition of the two larger horses is very laid back; I would be afraid to let anyone ride them. Stormy was a rescue that we took in from a family that no longer wanted her. She has a strong mind and feels like she is in charge, but she is very gentle. My daughter broke her for riding and then we taught her to pull a cart. Pulling a cart was a dream of my mother’s because she had just turned 70 and she just didn’t feel safe getting on and off the horses anymore, so driving the cart lets her still enjoy riding. 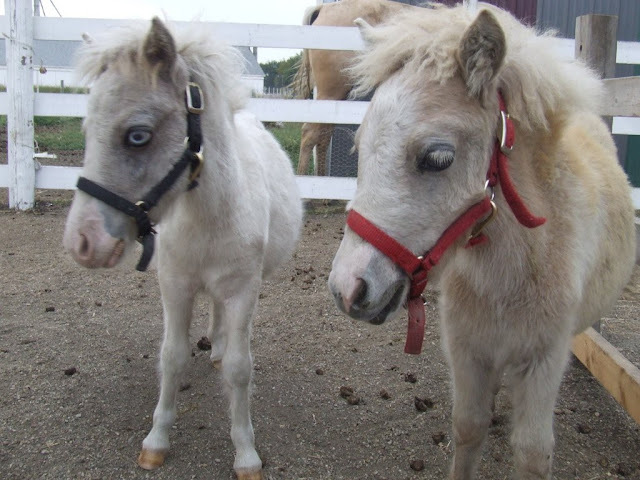 The two mini horses are mostly for fun, they just eat for the most part but we take them out for walks on and off, we have talked about training them for a cart but just haven’t had the time. Do you have a favorite horse show event? To be honest I don’t get to many shows, we do have something called the Cowboy Challenge that is put on in the I-90 Expo Center in Sherburn, Minnesota, and I have attended that a couple times. I can say that it is a lot of fun and is great family entertainment, they run it kind of like a rodeo but it’s not a real rodeo. I enjoy going to that and the tack sale that they have at the I-90, they have great deals and you never know what they will be selling. I was able to buy my daughter a brand new Weaver saddle for $120.00, I have to say it was a good deal. I haven’t ridden in close to a year. My daughter is the one in the family that does most of the riding, she tries to ride at least once a week if her job allows. I just run very short of time and that kills my riding so the best I can do is just brush them out and take them out walking on and off. My mother is over with the horses everyday brushing and spending time with them so they get a lot of attention. I would have to say the best ride I have ever taken was out in Montana, we were staying out by Jackson Hole and booked a ride with a locale stable. I can’t tell you the name anymore but the horses they had were great horses, they were well trained but they weren’t the kind of trail horses that you just sit on and do nothing. The horse needed to be controlled, but very well behaved; we took about a 4 hour ride up into the mountains, it was a blast. I can say that I will never forget how peaceful it was when we rode out of the tree line and to the top of the mountain. I can remember thinking how beautiful it was and the top of the mountain was covered with small sun flowers, I would say - with the horses and the flowers and the cool breeze blowing – it was the best ride I could ever want. Do you have a favorite equine writer/story? 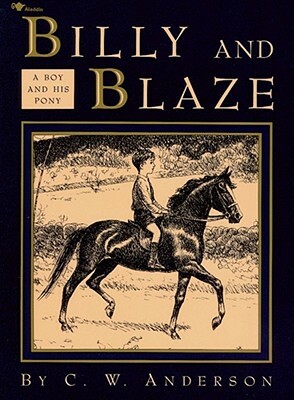 The story that I can remember is a book called Billy and Blaze - A boy and His Horse. I remember checking this book out of the library many times when I was a kid, it's a series of stories and I think the writer was C.W. Anderson. I guess if I was going to recommend a series of books this would be the one, it’s written more for kids, but I believe adults would enjoy it just as much. Any advice for beginning riders? The only advice I would have to give is to do a lot of reading before you get into the hobby, learn about the horses and what it requires to keep a horse and most of all get with a trainer that can teach you the correct way to ride and work around horses. People take them for granted because they are gentle most of the time but they don’t understand that horses are afraid of almost everything and the even the best trained horse can panic and being as strong as they are they can badly hurt or kill you very easy. I would say that horsemanship to me means loving the hobby and loving the horses, you don’t have to be a cowboy or a pro rider, you just need to enjoy the horse and treat them well and the horse will enjoy you. People need to know that horses need to trust the people that ride them as much as the people need to trust the horse they ride. 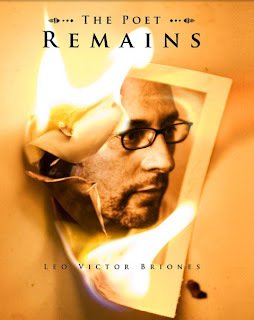 elcome Leo Briones from Los Angeles, California, USA. A creator of profound imagery and explosive emotions, his poems are appreciated by eminent poets and poetry lovers around the world. Leo describes his debut book The Poet Remains as ‘Transcendental Revivalism or a poetic rebellion against the angst, cynicism, and intellectualism of much of modern poetry’. A poetic genius, I admire his rhythmic style and powerful message. make love in the steam of earth? yet neither are we old? I was around 14-15 and wrote a political poem about U.S. intervention in El Salvador. Sort of a poor man Bullet in the Blue Sky by U2. This is subject to my own interpretation, so I would have to say Rumi and Emily Dickenson. I am not sure folks would consider either Rumi or Dickenson as classical poets but I do. Rumi seems to me a poet that represents the deepest tradition of the spoken word, which is the use of words and images to express abstract ideas such as love, fear, beauty, death, eternal life, etc. And Dickinson I think in many ways ends the era of classic poets. Her mastery of images, concise form and language is superior, amazing, and perhaps there is no equal in the English language. Do you have a favorite modern day poet? There are many, but several stand out. Robinson Jeffers. His early poetry such as Shine Perishing Republic, Hurt Hawks, and The Eye are powerful in imagery and intent. He was a protest poet and paid the price. I think Robert Penn Warren’s A way to Love God is powerful, masterfully written and asks important questions about the human condition. I find Czeslaw Milosz’s very unique and powerful. There is a certain eastern European sensibility that I can relate to, that falls somewhere between fatalism and unbridled hope. My good friend Tina Collins really evoked a great Southern voice in her poetry. She has not written in many years but I personally really miss her poetry. Perhaps one day others will appreciate her work as much as myself. It makes me wonder how many powerful poets that are unknown. Write from the heart. Don’t force rhymes or structure. I suppose that answers the questions, yes? For the universe. For time. For anyone who’s willing to read them. It feels a bit self-indulgent to interpret my work as such, but here I go anyway. I think I have at least three distinct styles that are mostly dictated by content and intent. Although my poems are all free verse I do have a idea that I write with a sort of modern spin on Gerard Manley Hopkins spring verse in mind. By that I mean that rhythm and sound transitions are important to me. When I can, wherever it is. How do maintain thoughts and ideas? I usually have a thought, or an image comes to me, and I try to get to my computer as soon as possible. I have not published a book since 2006. That date seems like yesterday, but I am currently compiling three different books of poetry. The first to be called Postcards from the Apocalypse, and will be a compilation of mostly political/Beat poems, meditations, and a few love poems. The second is a book I will call Beyond Blue and is a compilation of poems I wrote about my best friend Quentin Drew and deal with his battle to remain an effective community organizer as he was dying from kidney cancer. The third is another eclectic compilation I will call The Time Traveler. Do you think poetry has an impact on modern society? I think modern poetry suffers from the same infirmity in which modern journalism suffers. That is finding its place in the world of multimedia communication. In some ways, this dilemma has perhaps dumbed down what people see as good poetry. However, I am hopeful that the big picture will lead us to a day that great poets are discovered by ordinary people on websites and blogs and they do not have to consider the validation of academics who mostly like poetry that sounds like theirs or has a parallel philosophical point of view. How would you explain writing poetry to a novice? Tell me of the eternal truths - love, suffering, sacrifice, sadness, joy - by showing us those truths through the images of your life. Imran Kahn is a published freelance writer and poet. His poetry anthology Love is Evergreen continues to entice poetry readers around the world. I am a very sensitive person and like to think a lot. So I thought to write about world issues and posted a message in a website askmehelpdesk.com that I am willing to write articles if someone interested I would like do that. I received reply from wzartv. And they said they will accept my articles if they are good enough. When I sent my first article, to my surprise they accepted it and made a page for me on their website. It was in September 2005. 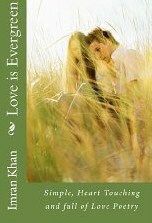 Just recently I have published my first ever book named Love is Evergreen. It’s a poetry book and contains 42 poems (medium and short poems). I started poetry as a fun last year and joined Allpoetry.com, but as I received good encouragement from readers I decided to publish my poems. Most of the poems have won trophies in various competitions at that website. Honesty and Commitment are two word lessons I got from my ex-boss. I think with these two words one can achieve anything and we need both in every part of our lives. If we are honest but not committed to do something we will not have the results and if we are committed but not honest than still the result would never be satisfactory. So these two words give me guidance to achieve more and more in life.